Exporter of a wide range of products which include shuttle valve cover for fitting directional spool valve, cartridge valve cover, cover for fitting directional spool valve, cartridge standard cover, cartridge cover with built in shuttle valve and cartridge cover for proportional relief valve. We are a prestigious company involved in offering a wide array of Shuttle Valve Cover for Fitting Directional Spool Valve / Cartridge Cover with built in shuttle valve for fitting Directional spool valve. 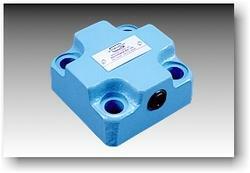 The cover of these valves has built-in seat type shuttle valve and are available in market various configurations. Offered products are highly reckoned among our clients due to their fine performance and fine finish. Keeping in mind the diverse requirements of our clients we are involved in offering a wide range of Cover for Fitting Directional Spool Valve. 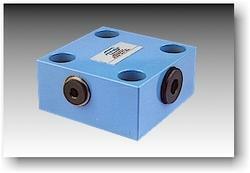 These are normally used for directional control function and are available in market in different configurations. Moreover, we also assure safe and timely delivery of our products. To furnish the diverse requirements of our clients in the best possible manner we are involved in trading and supplying a wide array of Cartridge Standard Cover. 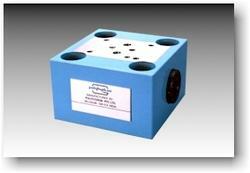 Offered product is normally used for check valve function. 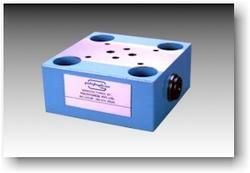 These are highly acknowledged among our clients due to their trouble free performance and accurate dimensions. Additionally, our products are available in market at reasonable prices. 16 65 32.5 2 35 20 12 G1/8 M6 8 5 6 M8, 40 long. 3.2 da Nm. 25 85 42.5 3 40 25 18 G1/4 M6 12 6 10 M12, 45 long. 11 da Nm. 32 102 51 3 50 30 24 G1/4 M6 12 6 14 M16, 55 long. 27 da Nm. 40 125 62.5 3 60 30 30 G1/2 M8 15 10 17 M20, 70 long. 52 da Nm. 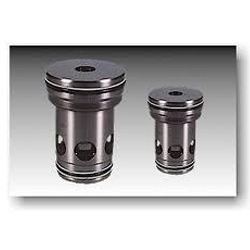 We are known as a leading company involved in trading and supplying a wide range of Cartridge Cover With Built in Shuttle Valve. These are manufactured using best quality material and advanced technology by our vendors. These are designed to control opening and closing of the cartridge valve and its cover has a built-in seat type shuttle valve. Cartridge Cover with Built in Shuttle Valve for Fitting D.C.V. 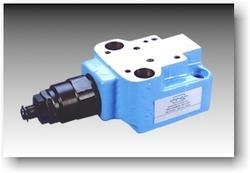 Designed to control opening & closing of the cartridge valve. 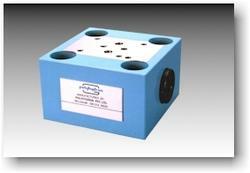 Provision for Pressure control with max. pr.setting. 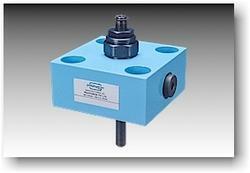 Looking for Hydraulic Logic Cartridges and Covers ?